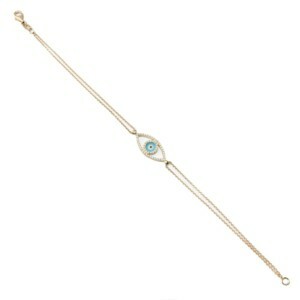 Brand: MoraysOur Rose Gold, Diamond "Evil Eye" bracelet brings classic elegance to the wrist, with a design that is simplicity itself. 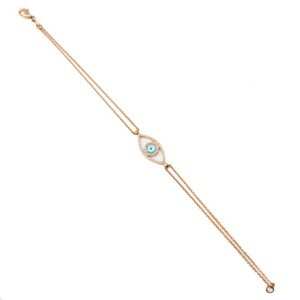 This bracelet seats its dazzling diamond in the warm glow of 18 carat rose gold. Brand: MoraysInspired by antiquity, our beautiful rose gold ring bracelet won't escape notice with its gorgeous patterning, sparkling diamond accents and elegant wrist spanning design. 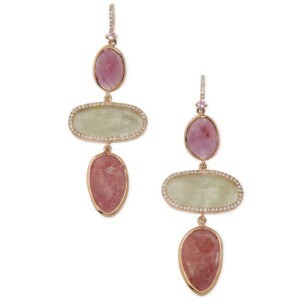 Brand: MoraysAn unusual blend of earth tones and elegance, these split ruby earrings are set amongst warm, gorgeous rose gold and 109 diamond accents to achieve a marvelous balance that is truly unique. 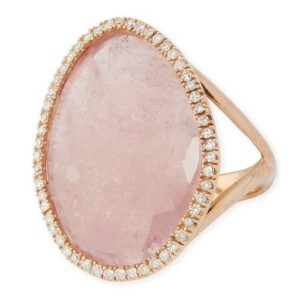 Brand: MoraysA beautiful, warm 18 carat rose gold setting provides a fitting frame for our 17.55 carat split ruby stone. Brand: MoraysSubtle beauty combines with intricate design to create a unique set of earrings. 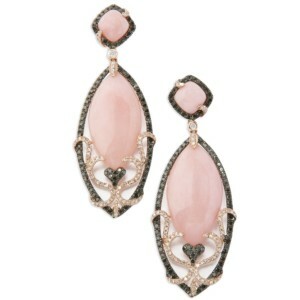 Our soft pink Opals are accented by black diamonds and rose gold settings in a magical effect.ok. Brand: MoraysBrilliant sapphire beads adorn this beautiful necklace, made yet more brilliant by the diamonds that stud the setting and truly set the look. 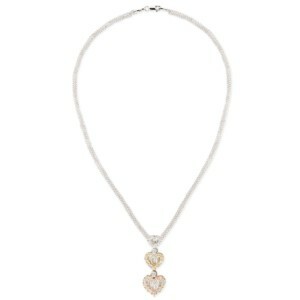 Brand: MoraysOur tricolor gold heart necklace features the subtle effects of 18 carat yellow, white and rose gold to create a beautiful piece that shines with sophistication and the glow of 55 diamonds throughout. A unique, and uniquely beautiful, necklace. 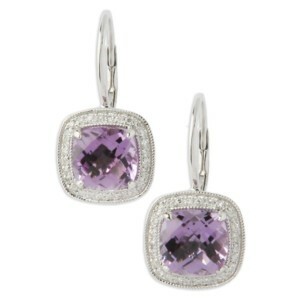 Brand: MoraysSparkling Amethyst gems light up these beautiful earrings, amplified by their diamond studded, white gold settings, they create a spectacular effect. 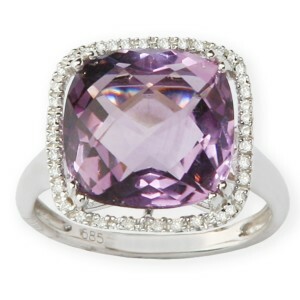 Brand: MoraysShining brightly, our amethyst ring features a 6.72 carat stone, surrounded by 36 diamonds to create a gorgeous, eye-catching design. 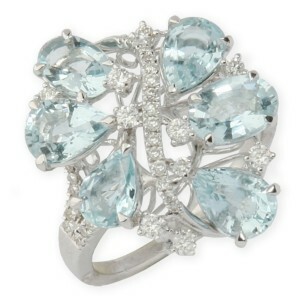 Brand: MoraysA gorgeous, sky-blue flower of the finest aquamarine creates a unique, visually compelling elegance for this ring. Set against the cool beauty of 18 carat white gold, the overall effect is simply beautiful. 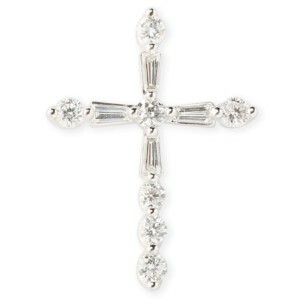 Brand: MoraysA sophisticated combination of specific diamond cuts and beautiful white gold creates a gorgeous cross pendant. 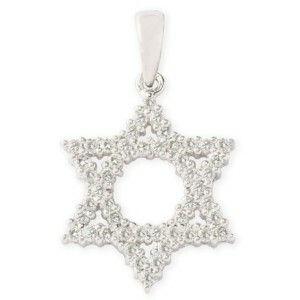 Brand: MoraysAn elegant Star of David is created by blending sparkling diamonds set in white gold. 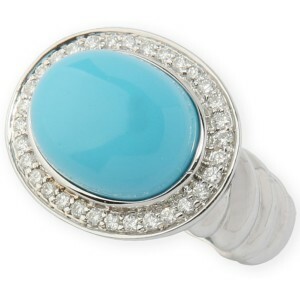 Brand: MoraysSimple, beautiful, our Turquoise ring is a classic design with diamonds encircling the main gem, set in white gold. Brand: MoraysEvocative of both the sea and sand, our turquoise diamond bracelet is the perfect Miami statement & casually elegant, sparkling and gorgeous in its design. Brand: MoraysA simple, luxuriously appointed loop shines with diamonds' brilliance against fine yellow gold setting and necklace to create a piece of distinction. Brand: MoraysBold and beautiful turquoise pointed hoops, set in intricately designed yellow gold settings, with sparkling diamond accents, make this pair of earrings a brilliant addition to an afternoon, or evening's look. Brand: MoraysA masterful combination of elements, our white gold, yellow gold bracelet dazzles with diamonds while impressing with elegance.